Working with more than 70,000 team members at more than 40 domestic and international resorts, Gwen sets the strategy, direction and management goals for the company’s Corporate Social Responsibility (CSR) initiatives including Responsible Gaming, Diversity & Inclusion, environmental sustainability, community involvement and global philanthropy. She also has oversight for the Caesars Foundation, a private entity funded by resorts owned or operated by Caesars Entertainment. Gwen leads the industry in assessing macro trends and issues that may affect the business and development goals. 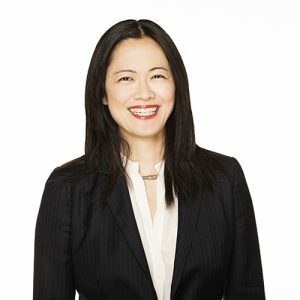 She is on the forefront of utilizing customer data and spending behavior to show that strong CSR programs deliver a positive financial outcome. Her work involves human rights, social safeguards, food scarcity, the United Nations Sustainable Development Goals and context based targets. Gwen is currently a Corporate Advisory Board member for the World Resources Institute (WRI), Sustainable Brands and serves as Trustee Chair of Impact NV. She and her wife Cuc Vu enjoy parenting their budding social justice advocates: Max (4) and Ava (2) in their pseudo spare time.